Capacity: 5200mAh (better than 4400mAh). Smart surge short circuit protection. Battery Type: Li-ion. for Compaq. for Fujitsu. for Gateway. for IBM/Lenovo. for Panasonic. P/N: 42T5236 42T4515. IBM: 42T5237 42T4515 41U5025 41U5026 42T4516 42T5236 42T5240. · Model: 42T4515. 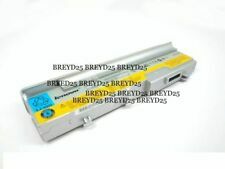 For IBM/Lenovo 3000 N200 (14.1" wide) Series. Lenovo 3000 N200 (14.1" wide) Series. Good for use only with Lenovo personal computer 0687 & 0769. FRU PN : 42T5239. P/N : 41U5026. GENUINE LENOVO. GENUINE 9 CELL. THIS SALE IS FOR ONE. Compatible part numbers. 40Y8315 40Y8317 40Y8322 41U5027. ASM 92P1187 FRU 42T4514 FRU 42T5212 FRU 42T5216. FRU 92P1188. 3000 N100 0689 3000 N100 0768 3000 N200 0769. 42T5213 42T5252. 92P1183 92P1184. ASM 42T5213 ASM 42T5217. FRU 92P1184 FRU 92P1186. 3000 N200 0769. 3000 N100 3000 N100 0689. 3000 C200 3000 C200 8922. Selected high-performance lithium-ion batteries from BAK and Korea manufacturer. FRU 42T5216 FRU 42T5241 FRU 42T5256 FRU 92P1184 FRU 92P1186. ASM 92P1183 ASM 92P1185 ASM 92P1187 FRU 42T4514 FRU 42T5212. Lenovo 3000 N200 (15.4" widescreen; but NOT 14" ). Lenovo 3000 N200 0769. Not compatible for 3000 N200 (14" widescreen). 42T5213 42T5252. 40Y8315 40Y8322. 92P1183 92P1184. ASM 42T5213 ASM 42T5217. FRU 92P1184 FRU 92P1186. 3000 N100 3000 N100 0689. 3000 C200 3000 C200 8922. 3000 N200 0769. 92P1187 92P1188. FRU 92P1188. 41U5027 42T5213. ASM 42T5213 ASM 42T5217. 3000 N200 0769. 3000 N100 3000 N100 0689. 3000 C200 3000 C200 8922. Battery Type : Li-ion. ASM 92P1185 ASM 92P1187 FRU 42T4514 FRU 42T5212 FRU 42T5216 FRU 42T5241. FRU 42T5256 FRU 92P1184 FRU 92P1186 FRU 92P1188. Not compatible for 3000 N200 (14" widescreen). Lenovo 3000 N200 (15.4" widescreen; but NOT 14" ). 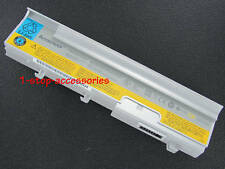 3000 C200 8922 3000 N100 0689 3000 N100 Series 3000 C200 Series 3000 N100 0768 3000 N200 3000 n100 0769. Original laptop. Original battery Code. ASM 92P1185. FRU 42T4514. Lenovo 3000 N100 0768. 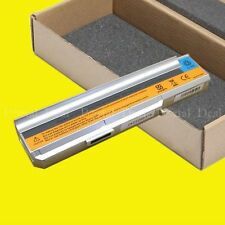 New Formax battery for Lenovo N100 4400mAh. Lenovo 3000 N200 0769. Lenovo 3000 N100 0689. Lenovo 3000 N100. Lenovo 3000 N200. 41U5027 42T5213. ASM 42T5213 ASM 42T5217. FRU 92P1184 FRU 92P1186. 3000 N200 0769. 3000 N100 3000 N100 0689. 3000 C200 3000 C200 8922. Selected high-performance lithium-ion batteries from BAK and Korea manufacturer. 41U5027 42T5213. 92P1185 92P1186. ASM 42T5213 ASM 42T5217. ASM 92P1183 ASM 92P1185. 3000 N200 0769. 3000 N100 3000 N100 0689. 3000 C200 3000 C200 8922. Selected high-performance lithium-ion batteries from BAK and Korea manufacturer. 40Y8315 40Y8322. 92P1185 92P1186. FRU 92P1184 FRU 92P1186. 3000 N100 0768. 3000 N200 0769. 3000 C200 8922. 3000 N100 0689. Selected high-performance lithium-ion batteries from BAK and Korea manufacturer. 40Y8315 40Y8317 40Y8322. 3000 N200 0769. 3000 C200 3000 C200 8922 3000 N100. 3000 N100 0689 3000 N100 0768 3000 N200 (15.4" widescreen). Battery Capacity: 6600mAh. Battery Type: Li-ion. Battery Volt: 10.8V. FRU: 42T4664. for 3000 C200 N200. IBM Original Lenovo Genuine. Mistakes do occur. We appreciate your understanding. 92P1183 92P1184. ASM 92P1183 ASM 92P1185. 40Y8315 40Y8322. 3000 N100 0768. 3000 N200 0769. 3000 C200 8922. 3000 N100 0689. Selected high-performance lithium-ion batteries from BAK and Korea manufacturer. FRU 42T5241 FRU 42T5256 FRU 92P1184 FRU 92P1186. 40Y8315 40Y8317 40Y8322 41U5027. 3000 N100 0689 3000 N100 0768 3000 N200 0769. 41U5027 ASM 42T5213 ASM 42T5217. FRU 42T4514 FRU 42T5212 FRU 42T5216. FRU 42T5241 FRU 42T5256 FRU 92P1184. Lenovo 3000 N200 0769. Lenovo 3000 N200 (15.4" widescreen; but NOT 14" ). Not compatible for 3000 N200 (14" widescreen). Lenovo 3000 C200 8922. Lenovo 3000 C200. Lenovo 3000 N100 0689. Lenovo 3000 N100 0768. 92P1183 92P1184. ASM 92P1183 ASM 92P1185. 40Y8315 40Y8322. 92P1185 92P1186. FRU 92P1184 FRU 92P1186. 3000 N100 3000 N100 0689. 3000 C200 3000 C200 8922. 3000 N200 0769. Lenovo 3000 N200 0769. Not compatible for 3000 N200 (14" widescreen). Lenovo 3000 N200 (15.4" widescreen; but NOT 14" ). Lenovo 3000 C200 8922. Lenovo 3000 C200. Lenovo 3000 N100 0689. Lenovo 3000 N100 0768.